OUR VENDING MACHINE POLICY: NO SHAKING. NO ROBBING. NO KIDDING! If you’ve read my past posts, you know I believe it’s very important to have a stellar relationship with office building managers. Their recommendation could get you a moving contract, and their disdain could blackball you from performing moves in their building. That’s why I was in shock when I received a phone call one Monday morning from another property manager who accused our movers of turning his vending machines upside down to steal the candy, chips, and pretzels inside. After I apologized and offered to pay for the replacements, I got to the bottom of the theft by querying several of the moving crew. Apparently one of our movers went into the building’s breakroom, inserted $.85 into the machine, pushed the buttons but nothing dispensed. According to him the coin return lever didn’t work either, so he shook the machine until it dropped a bag of potato chips (instead of the candy he originally wanted). Another crew member, who witnessed the incident, followed his lead but without first inserting the money. Word spread quickly to the other movers and soon most of them shook the machine for “free” snacks. 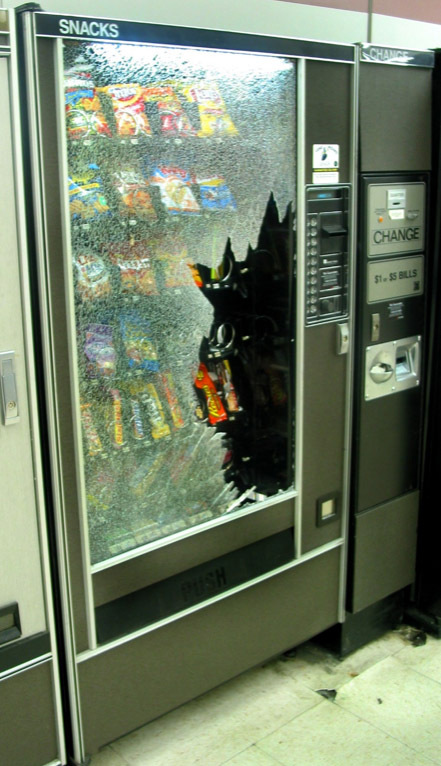 To prevent the same problem from happening again, we adopted a vending machine policy that warned if you shake a vending machine, you will be subject to being placed on probation. Therefore, if you put money in the machine and nothing happens, don’t shake the machine. Instead, see Mr. Katz the next day, and he will reimburse you. Teasing aside, the new policy’s implementation made the problem go away. 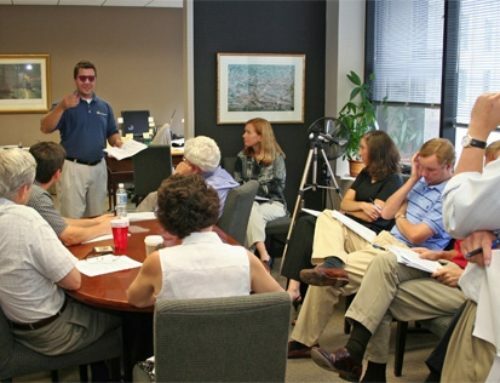 www.officemoves.com/training/index.html or call Ed Katz at 404.358.2172. This moving company (not ours!) didn’t have a vending machine policy. When nothing dispensed after the mover inserted his money, he kicked the coin return but missed. I wouldn’t want to be his boss, explaining this to the customer.